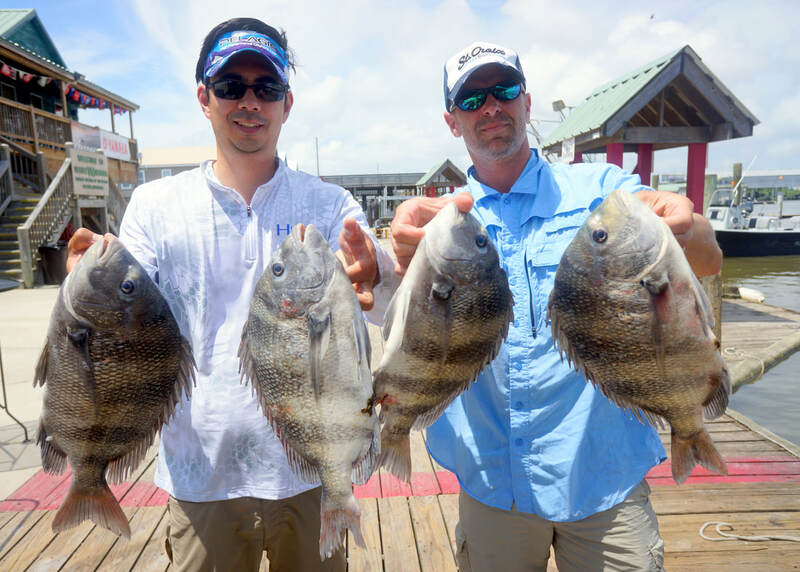 My friend Gary and I took a road trip from my home in Houston to fish Lake Calcasieu and Venice in Louisiana. 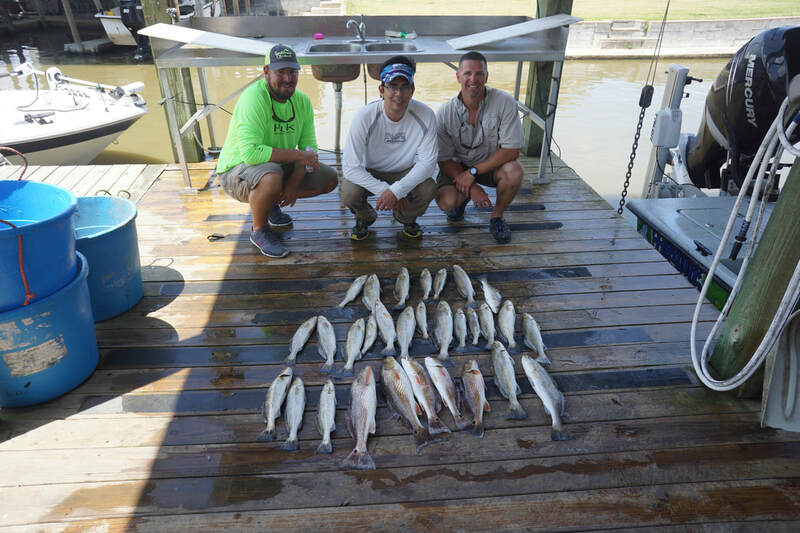 Our first day saw us fishing with Captain Brad Boudreaux of Boudreaux's Guide Service (www.boudreauxsguideservice.com). Conditions were far from ideal, with high winds that kept us off of the main lake and muddy water. 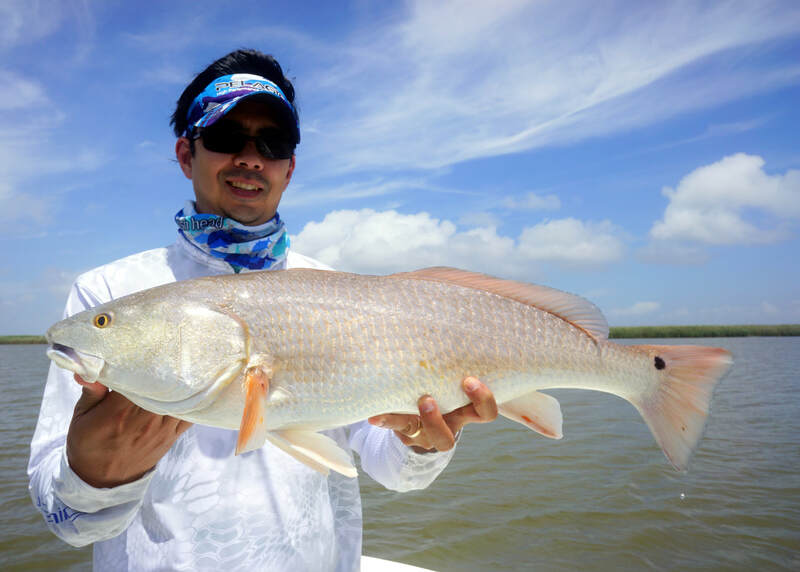 Trout fishing did not look promising, so we decided to focus on Redfish. 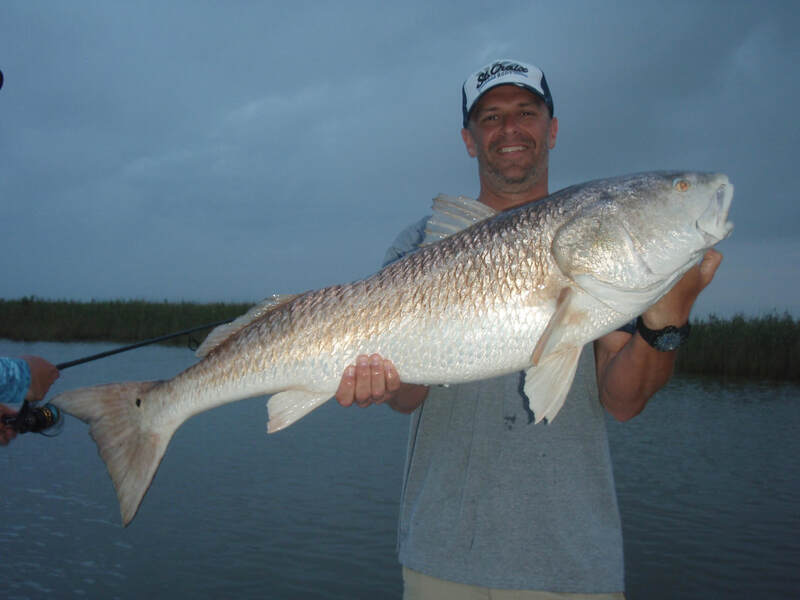 Gary had never caught one before, and it didn't take him long to connect in the back marshes. 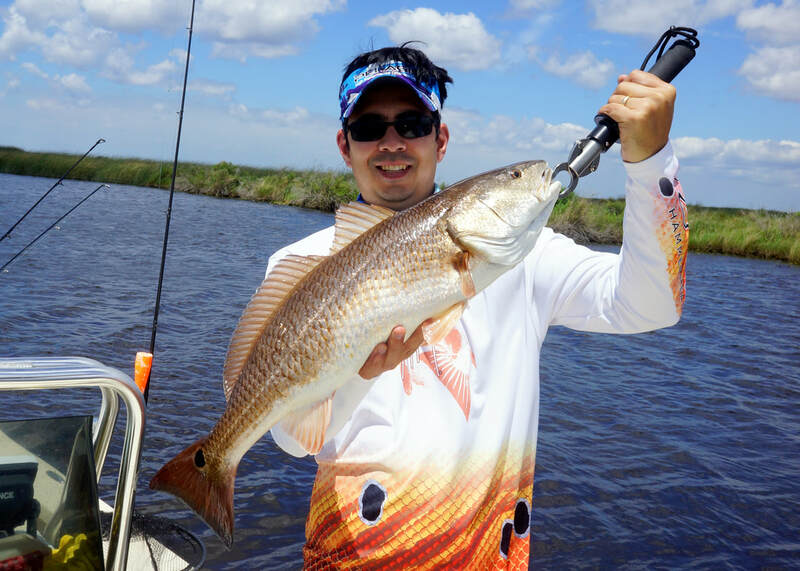 We both hooked a steady stream of 20-28 inch Redfish, mostly on shrimp fished under popping corks. I'm not sure how many we ended up with for the day, but I would guess between 25 and 30. Gary and I were stoked that we had steady fishing in tough conditions like that. We then headed off to Venice, which was a much longer drive than we had planned. Who knew Louisiana had so much traffic? We finally got to Venice and checked in with our guides for the next three days, Reel Shot Guide Service (www.reelshotfishing.com). The next day we headed out and were again met with tough conditions. High winds made it impossible to cross many of the open areas, so we stayed in the marshes. 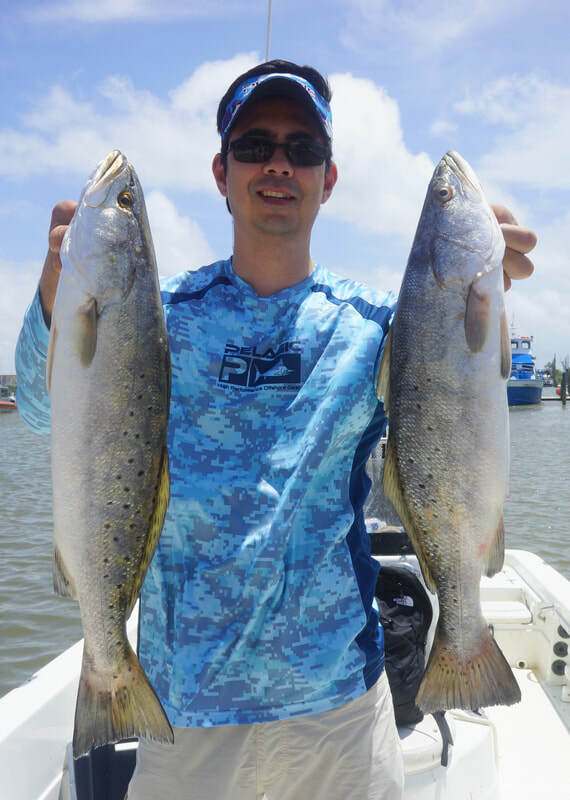 Redfish were again biting, as were some big Sheepshead, but the trout were scarce although we did pick off a few. Reel Shot focuses almost exclusively on bait, which during our stay was shrimp under a popping cork. On the second day with Reel Shot, we finally caught a break with the weather. 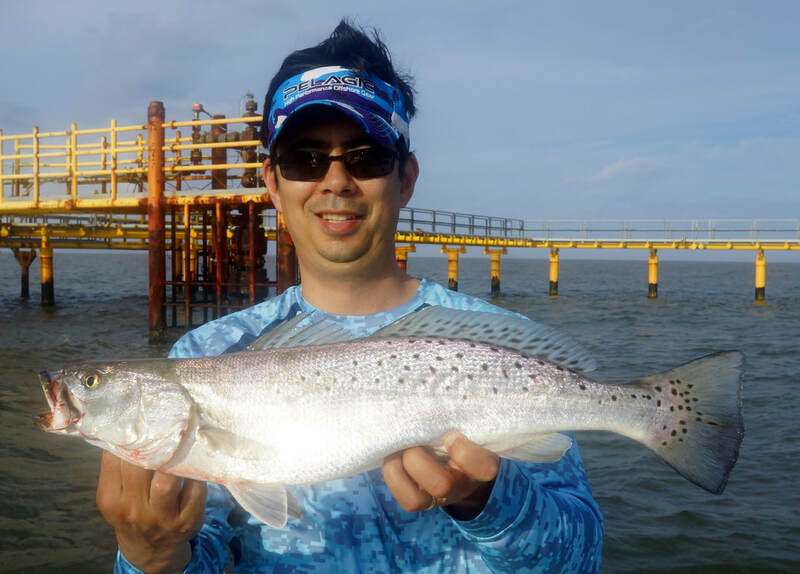 The early morning was dead calm, so we made the most of it and headed to an oil platform to fish for Speckled Trout. In an unbelievably hot bite, and we caught our limit of 75 trout in about an hour. It was a fish every cast for both Gary and I. 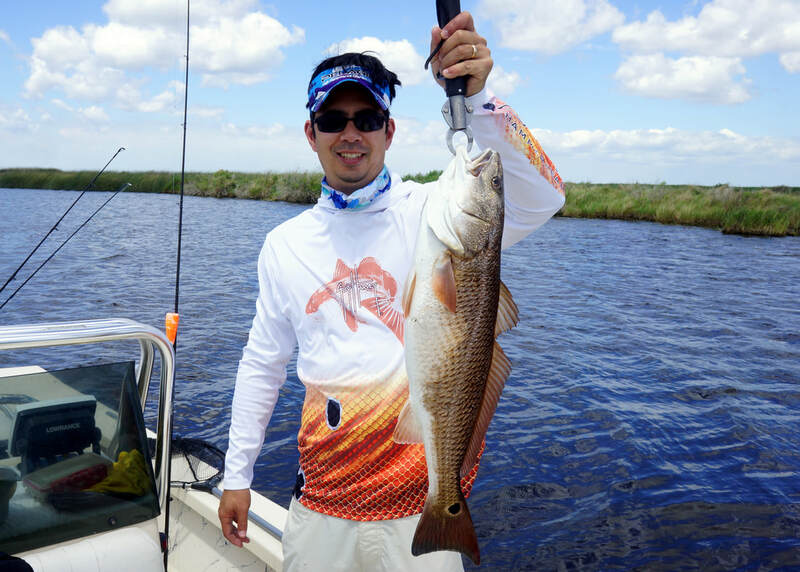 After limiting, we went back into the marsh and got a quick limit of Redfish. Gary got a big Bull of around 25lbs. Fishing doesn't get much better than that, and it was only 9:30am! After that the bite really shut down and the wind came up again, so we looked around and found a few more Reds and then called it a day a bit early. 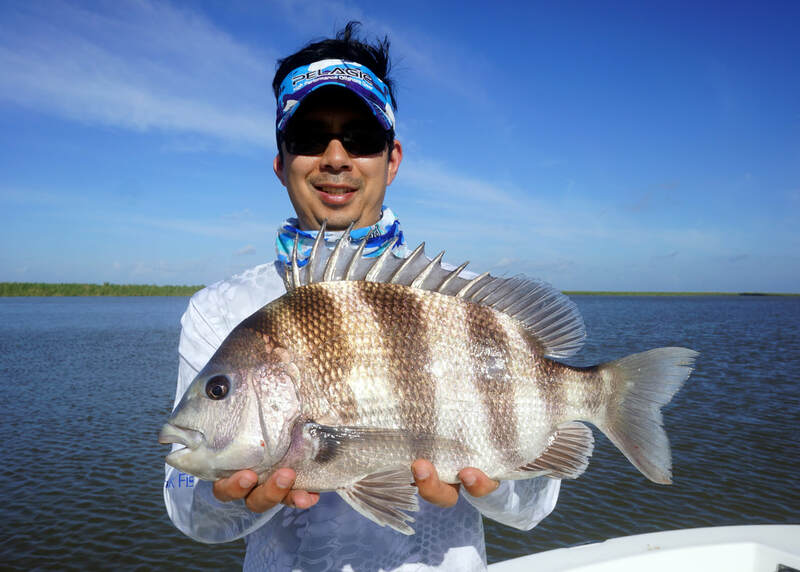 The next day we fished with another guide who Reel Shot brought in because their main two guides were booked. He was an older guy, and he said he was up for anything so we told him we wanted to fish artificials. We were pretty tired of popping corks and shrimp at that point. 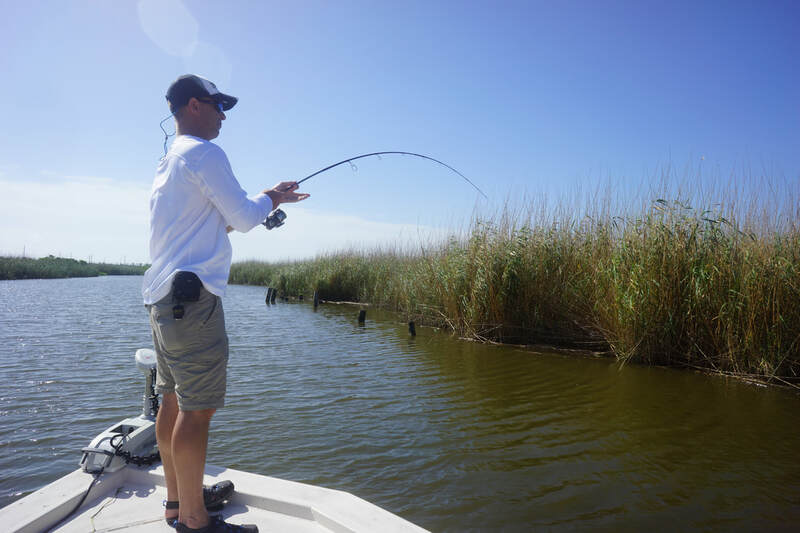 He started us out flipping plastics into the marsh grass, and we picked away at the Redfish. 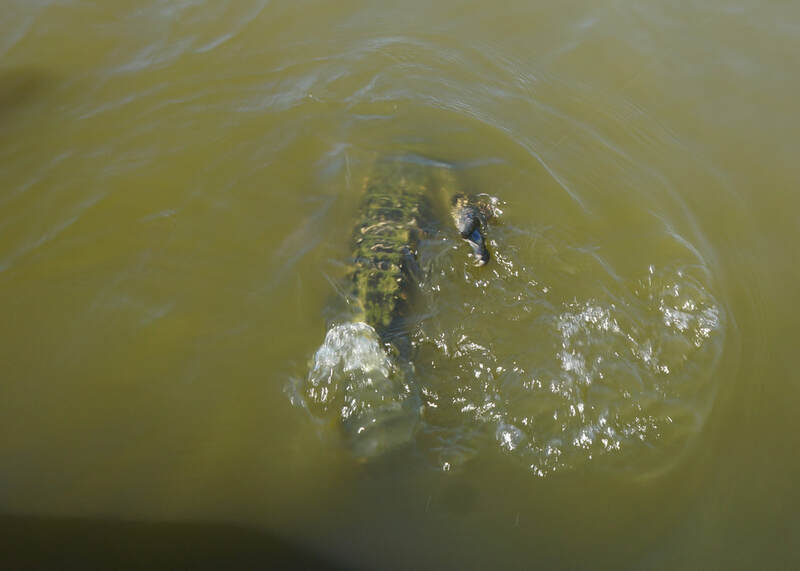 Gary hooked what we hoped would be the mother of all Redfish, but it ended up being a foul-hooked alligator. We got it to the boat and managed to unhook it without getting chomped. 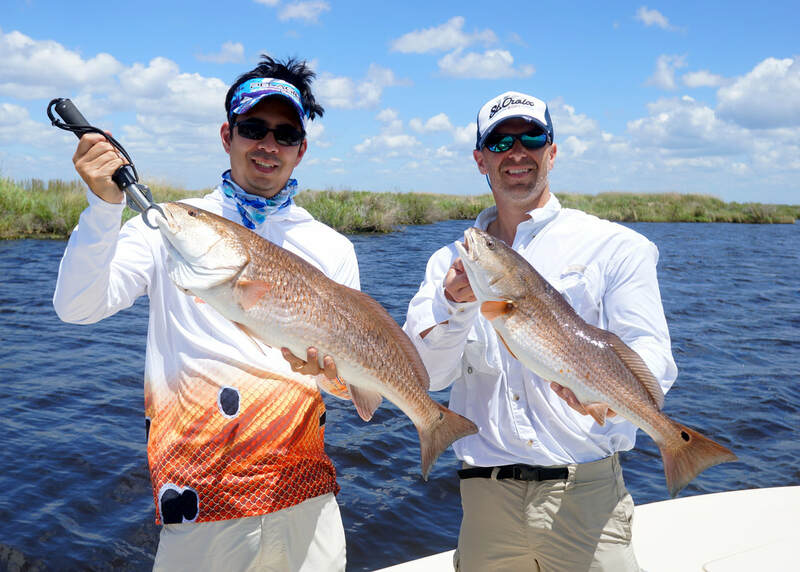 We then got called over to a hot Redfish bite by the other Reel Shot guides, and we caught and released as many Redfish in the 18-24" range as we wanted, all on plastics. After that we hit the road and headed back to Lake Calcasieu to fish with Cajun Paradise Lodge (www.cajunparadiselodge.com). They offer lodging as well, but we didn't stay there. The wind was back and did not allow us to get out on the main lake, so we stayed in the side waters. 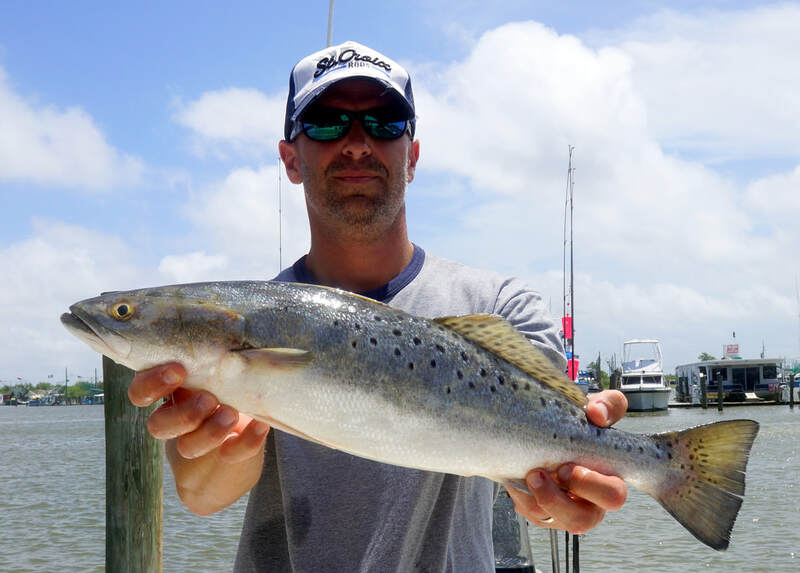 We started out throwing topwaters for a few bites, and then found some willing Speckled Trout on a big flat. We switched to plastics and picked away at them all day, and there were some Redfish mixed in. No monsters, but we ended up with around 40 combined fish for the day which was pretty good for the conditions. I would love to see how this place is when the conditions are decent.